Perceken belül kezdődik a 21. század eleinte legvalószínűtlenebbnek tartott, most viszont kétségkívül leginkább várva várt nemzetközi esküvője! 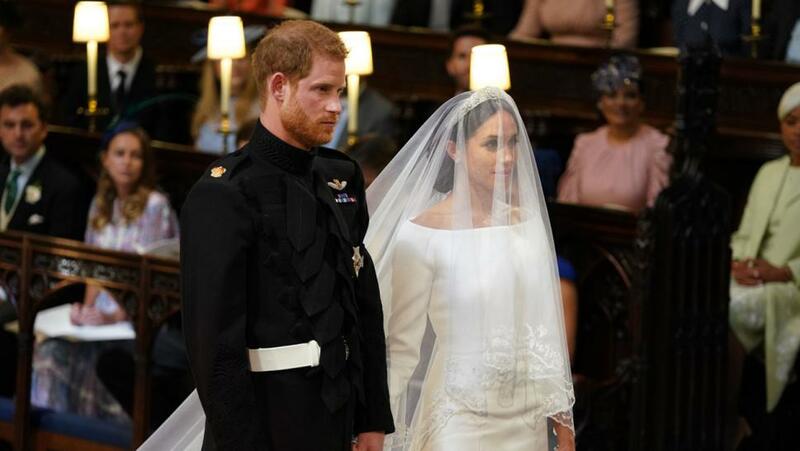 Harry brit herceg ma délben veszi el az amerikai, elvált, félvér ex-színésznő Meghan Markle-t! Ne maradj ki a mulatságból, ünnepelj egy angol középfokú nyelvvizsga jellegű, MULTIPLE CHOICE QUIZ feladattal! A WEDDING ABC betűihez találd meg a kontextusnak megfelelő szót a három megadott alternatíva közül! Opciók a cikk alján! The official announcement states that 'the wedding will take place in spring 2018', but reports have suggested it could be happening in April. Windsor Castle - the perfect reception venue - is to be closed on that day and its state apartments will be shut on the day before and the day after. However, a Betfair spokesperson has also said there has been a flurry of betting for a May date. Popular Meghan has her pick of __________(2). As both her best friend and stylist, Jessica Mulroney is the main contender for matron of honour. Tennis champion Serena Williams is another possibility. She met the bride-to-be at a charity football game in 2014 and Meghan says they're connected by 'our endless ambition'. Star Wars actress Janina Gavankar recently shared a selfie with Meghan, her friend of 15 years, saying: 'Couldn't be prouder how far we've come'. 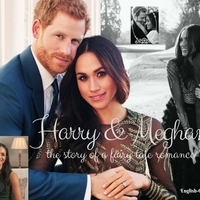 Then there's her gym buddy, fitness guru Heather Dorak, and her old uni friend, TV producer Lindsay Roth, who enlisted 'selfless' Meghan as her maid of honour last August. After behaving impeccably during the May wedding of her aunt Pippa Middleton to James Matthews, HRH Princess Charlotte, who turned three on May 2, could reprise her role as s flower girl for Uncle Harry's big day. Her four-year-old brother Prince George received a ticking off from his mother Kate at Berkshire nuptials, but is likely to join his little sister as a page boy. Harry is very fond of his niece and nephew, referring to them as the 'most amazing things ever'. William famously presented Kate with their late mother's blue sapphire engagement ring and Harry has also paid tribute to the late __________(4) Princess of Wales by presenting Meghan with a ring that includes two diamonds from her private collection. When asked about her dream wedding gown, Meghan once said: 'I personally prefer dresses that are whimsical or subtly romantic.' Step forward Canadian/Turkish fashion designer Erdem Moralioglu, a favourite of Meghan, who has been wearing the label for years. His penchant for giving antique lace and fancy frills a modern twist make him a likely go-to for the wedding gown. 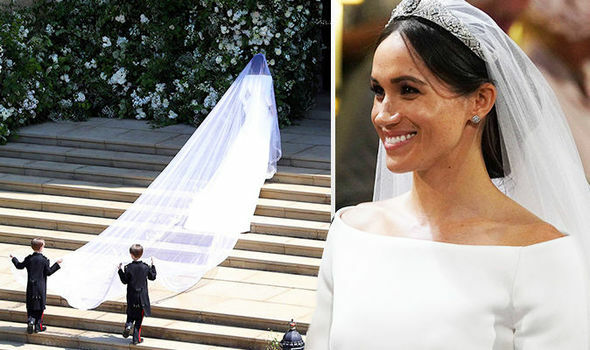 Other choices could include a classic look by English designer Jenny Packham, a floral dress by Elie Saab or a fairy-tale number - much like her character wore in legal drama Suits - by Oscar de la Renta. Despite being blessed with a fresh, glowing, complexion, Meghan will go all out to look her best on her big day. A facial courtesy of Sarah Chapman is just the thing - and the beauty guru to the stars gave Meghan a treatment at her Chelsea clinic Skinesis after she flew into the UK just over a week ago. Meghan, whose mum Doria encouraged her to start getting facials when she was just 13, has previously spoken about practising facial massage at home, trying infra-red saunas, drinking two litres of water a day and using a clarins serum and moisturiser. The cute beagle and his canine companion Bogart, a Labrador-shepherd cross, are described as 'my loves' by Meghan. She's revealed that one is staying with close friends and the other has been in the UK for a while. They're used to posing for photos, featuring heavily in her past social media posts, but whether they'll play a part in her big day as doggie ring bearers is another matter. Meghan's mum Doria Ragland is the only known family member to have met Harry. The yoga teacher, who has allegedly been offered a room at Anmer Hall when the royals celebrate Christmas in Sandringham, was by the couple's side at October's Invictus Games closing ceremony in Toronto. She is divorced from Meghan's father Thomas Markle, but the two remain friends. It's not known whether Meghan's half-brother Tom Markle Jnr will attend, or her half-sister Samantha Grant. She has previously criticised Meghan for not reaching out when she was diagnosed with MS.
Meghan is a keen calligrapher and may well address the __________(9) herself! Celebrities hoping to receive one include Victoria Beckham who attended the the 2011 royal wedding. She might even design Meghan's gown, as Meghan is a fan of her clothes. Actor Patrick J Adams, who plays Meghan's love interest on Suits, describes their relationship as like 'brother and sister' so he may be there. Their mutual pal Markus Anderson, a businessman, is a very likely attendee. Former Made in Chelsea star Millie Macintosh, American socialite Olivia Palermo and actresses Gem Pinkney and Priyanka Chopra could attend. The groom's gusets may include actor Dominic West, Barack and Michelle Obama, singer Joss Stine and Harry's old friend Guy Pelly. The Archbishop of Canterbury __________(10) Welby will officiate their church wedding. Congratulating the couple on Twitter, he wrote: 'I'm absolutely delighted to hear the news that Prince Harry and Meghan Markle are now engaged. I wish them many years of love, happiness and fulfilment - and ask that God blesses them throughout their married life together.' He previously baptised TRH Prince George and Princess Charlotte. Among the first to react to the news was the Prime Minister Theresa May. She tweeted her 'warmest congratulations' to the pair, calling the announcement 'a time of huge celebration for two people in love'. Her predecessor David Cameron, Jeremy Corbyn, Fearne Cotton and Paula Radcliffe were among other celebrity supporters tweeting their best. While William and Kate invited Ellie Goulding to perform at their big day, Meghan's choice of wedding band could be more obscure. The actress is close friends with Canadian singer Martina Sorbara and earlier this year, Martina's band Dragonette was included on a list of Meghan's favourites compiled on her blog, The Tig. Harry was spotted watching The Killers at Hyde Park this summer, so the Las Vegas band are hotly tipped to take to the stage for his big day. Meanwhile, opera singer Laura Wright has been a regular fixture at Harry's Invictus Games and even wrote the tournament's official song, Invincible. The newly engaged couple will set up home in Harry's two-bedroom residence, Nottingham Cottage. Nestled in the grounds of Kensington Palace, it's a stone's throw from William and Kate's official residence, Apartment 1A. It's been Harry's home for the past four years, before which it was William and Kate's first marital abode. Meghan will no doubt put her own stamp on the property, as Kate once did. The smallest dwelling on the 17th century royal estate, it boasts two reception rooms, a small garden and rooms originally designed by Sir Christopher Wren. At the time of going to print, Westminster Abbey and Windsor Castle were events for the wedding venue, according to Betway. The odds on the ceremony taking place after Kate gives birth to her third child, due in April, were 1/3 and Prince William was odds-on to be picked as his brother's best man, at 1/4. The odds on Harry and Meghan, who both want children, announcing they're expecting a baby next year are now at 4/7. Removal vans were spotted outside Meghan's rented Toronto home at the end of November, with her furniture reportedly heading into storage. The property, owned by Kevin O'Neill and his wife Liz Cabral, was located in the quiet, middle class residential area of Seaton Village, with minimal security. It is thought that Harry sought his grandmother's permission to propose back in October. In what is believed to have been Meghan's first meeting with Her Majesty, the couple visited Buckingham Palace for an intimate, hour-long tea party with the Queen. He was obliged to seek permission from the monarch under the Succession of the Crown Act 2013, which states that the six persons next in line to the crown must obtain the consent of Her Majesty to marry. Once married, Meghan will be expected to carry out a number of royal engagements each year and has made preparations for the new role. Just as Kate did before her, the actress is set to leave her job, having been written out of Suits during the show's seventh series. In 2016, William, Kate and Harry carried out 485 engagements and it's expected Meghan's __________(18) will begin soon after she and Harry tie the knot. Though some have assumed that Meghan will automatically become a princess following her nuptials, that's not the case. That title is only bestowed upon those born into the royal family - instead, she will likely become a duchess. It's thought that the Queen will assign Harry and Meghan the dukedom of Sussex upon their marriage, just as she made William and Kate the Duke and Duchess of Cambridge after their wedding. The title became extinct after its last holder, Prince Augustus Frederick, son of George III, died in 1843. She may be marrying into royalty, but it's unlikely Meghan is getting hitched to future King. Harry is currently fifth in line to the throne, but following the birth of William and Kate's third child in April 2018, he will drop to sixth in line. Harry acted as an usher for Tom 'Skippy' Inskip when he said 'I do' to Lara Hughes-Young in Jamaica earlier this year, accompanied by Meghan, so it's fair to assume he could return the favour. Harry has also acted as an usher for pals Thomas van Straubenzee, Jamie Murray Wells and Edward van Cutsem over the years. Of course the top role of best man will likely go to Harry's brother William, given that Harry acted as William's best man in 2011. It has been the venue of choice for several royal weddings over the years, including Her Majesty the Queen's 1947 wedding to Prince Philip, and Kate and William's 2011 nuptials, so it's no wonder that many are speculating that Westminster Abbey will be the place that Harry and Meghan will tie the knot. Windsor Castle is another hotly-tipped option, or London's St Paul's Cathedral. Harry might have dated a string of beauties over the years, including Cressida Bonas, Jenna Coleman and Ellie Goulding, but it was once assumed that long-time love Chelsy Davy would one day become his wife. The pair split in 2010, after almost seven years together, and remain close friends to this day, with Chelsy even attending William and Kate's wedding. But don't expect Meghan's former husband, film producer to make an appearance. As well as neighbouring nation Botswana, where the centre diamond on Meghan's ring comes from, the couple have special memories of __________(2) having taken a three-week trip there this summer to celebrate Meghan's 36th bithday, so it could be a contender as a honeymoon destination. Harry has previously revealed that the continent holds a special place in his heart, first visiting soon after his mum's death in 1997: 'My dad told my brother and me we were going to Africa to get away from it all. This is where I feel more like myself than anywhere in the world. I have this intense sense of complete relaxation and normality here'. Hogy tetszett az ESKÜVŐS NYELVVIZSGA FELADAT?